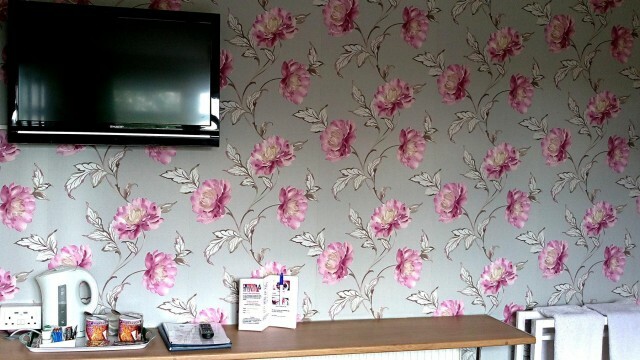 Our room is very reasonably proportioned, tastefully decorated with neutral colours. 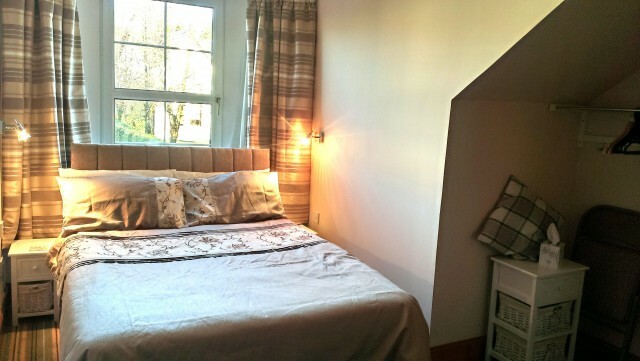 This Double room is situated to the front of house on the main street. Road noise late evening early morning. Our room is very well proportioned and tastefully decorated with neutral colours. 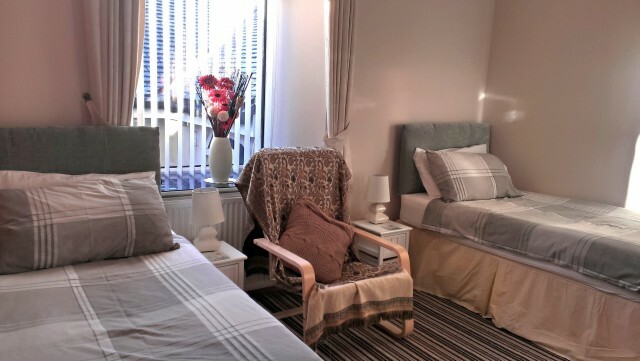 This twin room is situated to the back on the ground floor and away from the main street. Very quite. Our room is very reasonably proportioned, tastefully decorated with neutral colours. This Double room is situated to the back on the first floor and away from the main street facing our outdoor garden. Very quite. Please arrive between 16:30 and 18:30, unless we have agreed and confirmed alternative arrangements. If unforeseen circumstances on the day affect your confirmed arrival schedule please telephone us ASAP. Parking is through double gates to the rear of the house. Rooms should be vacated by 10.00 am on day of departures. For the comfort and safety of all our guests Knight's rest guest house is exclusively non- smoking. Abuse of this condition will incur a £100 surcharge fee to cover the cost of additional cleaning. Online bookings must be secured using an acceptable and valid credit or debit card.